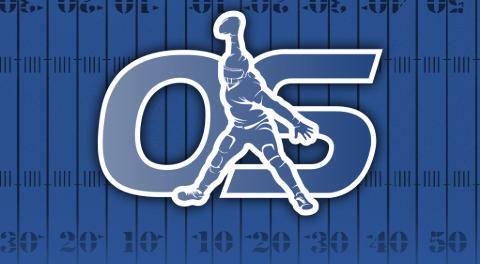 Many may point to the new pass-happy age of the NFL as for why quarterbacks are more in demand than ever before. However, teams mortgaging a ton of their future draft capital to select a player in the draft that they think can be their franchise leader for many years to come is not a relatively new concept. In the 1998 NFL draft, the San Diego Chargers traded three picks, including two first-rounders, Patrick Sapp and Eric Metcalf to the Cardinals in order to move up assure themselves a chance to select Ryan Leaf or Peyton Manning. While that trade did not bode well for the Chargers, the precedent was beginning to set itself - get a franchise quarterback at all costs. One of the more notable trades in the 21st century was the blockbuster 2012 trade involving the Washington Redskins and St. Louis Rams. Washington traded the sixth overall pick, 36th overall pick, a 2013 first-rounder, and a 2014 first-rounder in exchange for the second overall pick in the 2012 NFL Draft. The Redskins selected Baylor quarterback Robert Griffin III with that pick. Again, this trade did not end well for Washington as Griffin III's career has been plagued by injuries, but teams are not changing their philosophy on acquiring what they believe to be franchise quarterbacks. Several years later, the Eagles and Rams both traded up prior to the 2016 NFL draft to select Carson Wentz and Jared Goff respectively. While neither team acquired those picks cheap, the result appeared to be favorable for both franchises. Despite the Browns getting a significant haul for their second overall pick, it took them two years to find their potential franchise quarterback in Baker Mayfield. Not to mention, they finished 1-31 even with all of the extra draft picks. The list of examples can seemingly go on forever with teams trading up to select potential franchise quarterbacks, and the trend is clearly here to stay. With quarterbacks being in more demand and perhaps getting drafted higher than they are worth at that time, this is causing an effect of teams expecting more from their young quarterbacks immediately. In turn, quarterbacks are starting at a much faster rate regardless of their pro-readiness. In the older days of the NFL, a rookie quarterback would typically take a 'redshirt season' or two regardless of where they were drafted. The then-rookie quarterback would take time to adapt to the speed of the NFL game as well as the new playbook. However, teams may believe that with college football and the NFL sharing systems and plays like never before, more quarterbacks may be ready from day one. The other, more likely scenario, could be the amount of draft capital and resources teams have spent in acquiring quarterbacks has influenced their decision-making and patience. With teams giving up almost everything to land a top quarterback in a given draft, it could put more pressure on the young signal caller to deliver quicker as many teams could looking to start their climb back to the top and understand what they truly have. This trend has caused teams to essentially abandon the old-school thinking of sitting young quarterbacks. Since 2004, 44 quarterbacks have been selected in the first-round. In that time span, only six quarterbacks - J.P. Losman, Philip Rivers, Aaron Rodgers, Jason Campbell, Jake Locker, and Brady Quinn - have not started a single game in their rookie season. To contextualize that stat, approximately 86% of rookie quarterbacks have started a game in their first season. While there are special circumstances such as Patrick Mahomes, who started the last game of the 2017 season, a majority of these quarterbacks started when their teams had something to play for. Kansas City already clinched the AFC West and was locked into the four seed regardless of the outcome, which made Andy Reid's decision relatively easy. Nevertheless, the new era and mindset of NFL teams have already arrived - rookie quarterbacks will be tested extremely early in their young career. After charting every quarterback selected in the first-round since 2004, there are some not-so-shocking trends. Rookie, second year, third year, and fifth-year option means that the quarterbacks are still under their first contracts. However, of the remaining 32 quarterbacks, only 12 -- 37.5 percent -- received an extension/ a second contract. Quarterbacks are beginning to be expected to contribute at a high level quickly, and that has resulted in fewer chances for young quarterbacks. Underdeveloped quarterbacks who need more time to adjust to the NFL may not be receiving the time they need. The dangerous aspect of this trend is that it is hard to really put a ton of blame on an NFL team for wanting results immediately as they could have traded a ton of draft capital away for said quarterback. Quarterbacks and teams as a whole are not the only factors involved. Head coaches are greatly affected by this as well. This chart is showing the difference of pairing a new head coach (regardless of whether or not that coach has been a HC elsewhere) with a rookie quarterback. Each rookie quarterback is averaging around two head coaches with the team that drafted them regardless of the coach's time with that team. 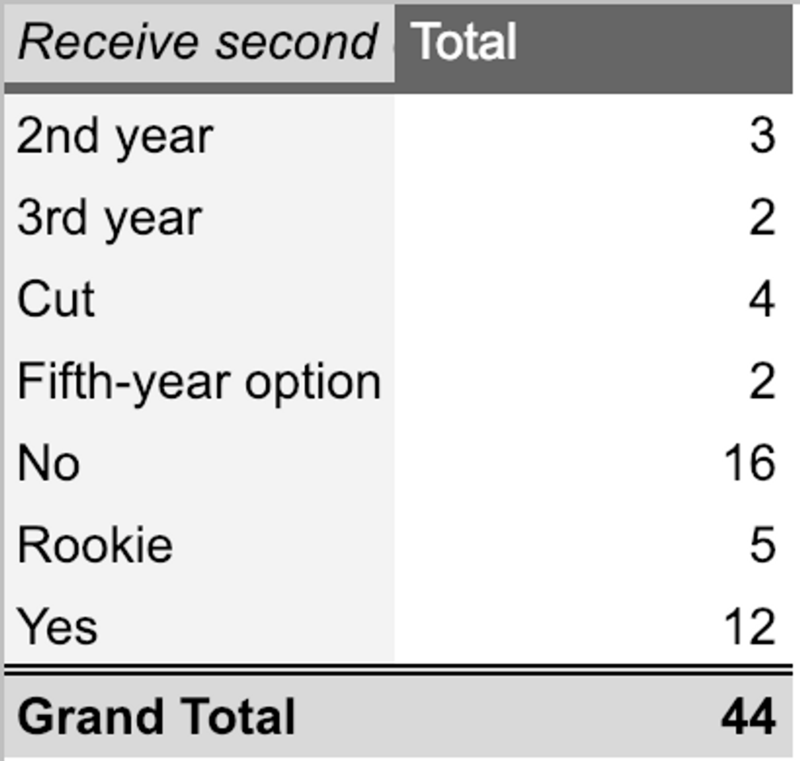 While the difference in tenures with the team is not a big gap for coaching staff's that start with a rookie quarterback as opposed to selecting one during the process, the key is the amount of time spent with that rookie quarterback. Teams are impatient with existing coaching staffs that struggle to develop a rookie quarterback immediately. This could, in turn, affect the quarterback's development given his exposure to different coaching staff's and philosophies. Regardless of the situation, rookie quarterbacks start faster with first-year head coaches. It could be due to a variety of circumstances, but the trend is clear. The pairing of a first-year head coach and a rookie quarterback has been hit or miss during this time span as well. Ron Rivera and Cam Newton, Joe Flacco, and John Harbaugh, and Chuck Pagano and Andrew Luck are some of the success stories, but for each of those there are also the failures such as Baker Mayfield and Hue Jackson, Steve Wilks and Josh Rosen, Doug Marrone and EJ Manuel, and Mike Munchak and Jake Locker. Solely blaming the head coach in those scenarios would be unfair, it is important to point out the positives and negatives of both sides. 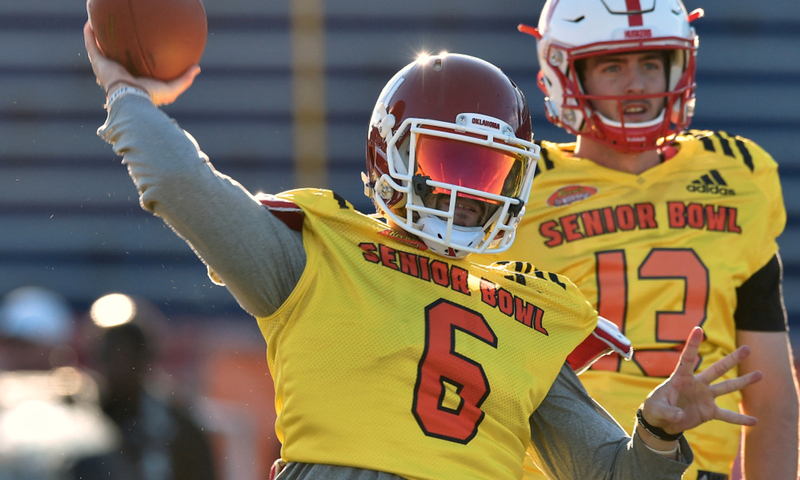 While there is clearly not one specific way to do things in regards to selecting a quarterback, it is important to study the trends and learn from other teams' mistakes.